In the face of evil it is easy to turn one's eyes away. For many people this is the response that comes natural. It is a tendency that permits evil to spread. It is through the silence of good men and women that evil propagates. Yet there are those who don't just bear witness to evil but decide to stand toe to toe with evil itself. These few, these heroes, grit their teeth and clinch their fists as they refuse to back down. For the Jewish people there was a generation of men and women who decided to take this stand. Millions of men and women rolled up their sleeves and picked up their rifles. None of them had to stop the spread of Nazism. None of them had to bleed and perish so that we, the Jewish people, might have a chance to live. It would have been possible to contain the Germans with far less sacrifice. Yet they, the brave, came to our rescue... many to never live to see the defeat of our oppressors. This is not the story of American GIs or the Russian red army. This isn't the story of how the so called "West" saved the day. No, today we will look at how those society has told us hate us joined the fight to save us. In a world that even then claimed Islam and Judaism were incompatible, these brave souls decided to fight, bleed, and sacrifice so that others might live. This is the story of Muslims who stood in the gap as Judaism suffered it's darkest hour. Noor Inayat Khan was born in Moscow on the first of January, 1914. The world was at war and any hope for the end of the flow of blood was still not yet in sight. Yet her parents were given a blessing that day that so many expecting parents wish and pray for, that hope that comes with every new life. By the time Noor Khan was in her twenties the world was once again headed for war. She had studied music and medicine and had even written her own children stories. Yet when war did break out and hostilities with Germany seemed inevitable, Noor Khan didn't look the other way. Instead, Noor Khan trained as a nurse with the Red Cross in her home country of France. While others prepared for others to defend them if Germany attacked, Khan prepared herself to help those in need. In May of 1940 Germany's Waffen SS whipped around France's inadequate defenses and invaded France. Noor Khan's family escaped to England as the French government surrendered in a tram trolley. Hitler would tour Paris while Noor Khan joined England's Women's Auxiliary Air Force so that she could help fight for France. She would train as a wireless operator while the Germans pillaged Europe just across the English Channel. Noor Khan's ability to speak French fluently gained the attention of England's Special Operations Executive (SOE). The SOE needed people with Khan's knowledge to go across the channel and help spy on the Nazis in France. Noor Khan's willingness to fight against the evils of Nazism made her a perfect candidate for what many would look at as suicide. In June of 1943 Noor Khan was flown into France and made her way to Paris where she would join the Prosper Network. Yet shortly after Khan arrived the resistance network came under attack by the German Gestapo. With the capture of resistance members came the fear that the Prosper Network had been compromised. Khan was encouraged to make her way back to England so as to evade capture by the Germans. And yet Noor Khan refused. She argued that she was the last wireless radio operator left in the group. So she would stay and fight despite the inherit risks. Noor Khan made attempts to rebuild the resistance network as she continued to keep London informed with wireless transmissions. Her efforts went on for three and a half months as the threat of capture lingered overhead. It wasn't till October that the Gestapo finally got the information they needed to arrest Noor Khan. Upon arrest the Gestapo found documents that allowed them to crack the code the spy "Madeleine" had been using. Noor Khan's code was then used to capture three more agents landing in occupied France. Yet under constant torture, Noor Khan refused to give the Nazi's any information that could have further compromised the work of the SOE in London. Dedicated to the war against Nazism, Noor Khan endured humiliating conditions and bravely faced a life in chains. Despite their best efforts the Gestapo could not break Noor Khan. In the summer of 1944 the Gestapo transferred Noor Khan and three other agents to Dachau Concentration Camp. The agents were questioned, beaten, and harassed by the Nazi SS. On the twelfth of September, 1944 Noor Khan met with the fate that Nazism had allotted all of Judaism. Put before a Nazi SS death squad, Noor Khan and the other three agents were shot and killed. Noor Inayat Khan had been given the chance to run away. She had been given the chance to live as comfortable a life as anyone else could have in England during the war. If anything, she had the chance to live free and stay out of harm's way. Yet Noor Khan took to the battle field against an enemy that was well known for it's brutality. When death came marching in it's wretched black uniform, Noor Khan held her head high and prepared to stand her ground. Yugoslavia had been a target of the Nazis for some time. It was a stepping stone toward Greece and a vital part to Hitler's plan to take control of the Balkans. In April of 1941 the Luftwaffe began bombing Sarajevo as the Nazis made arrangements to occupy the city. Once the bombs began to fall the Waffen SS would begin it's assault upon the city. And it was in this bombardment that the Kavillo family, a Jewish family, found their home completely demolished. This was the Kavillo family's introduction to the horrors of the holocaust. Joseph Kavillo's family had waited out the bombing in the forest. It was only after the bombs stopped dropping that Joseph Kavillo returned to survey the damage the Nazi's warplanes had wrought upon Sarajevo. He was planning to bring his family to the factory close to their old house so as to seek shelter as the war ravaged on. A family friend, Mustafa Hardaga, spotted Joseph and offered him and his family to take shelter in his house. This was in spite of the fact that Mr Hardaga knew that the Nazis offered no mercy for anyone who would willingly house Jews. It wasn't long before Joseph Kavillo decided to move his family out of the Hardaga house and try to relocate them to the Italian controlled areas of Yugoslavia. When his family was safe, Joseph decided to stay behind. It was in this process that Joseph Kavillo was arrested by the Nazis in Bosnia. He was taken into captivity and kept in chains outdoors in the cold. Kept like an animal, Joseph Kavillo was not fed or offered shelter from Bosnia's harsh weather. Zejneba Hardaga, the wife of Mustafa, found Joseph chained in the snow. She risked her life to smuggle Joseph food and water. Over the course of Joseph's time in chains it was Zejneba who kept him alive till she could find a way to help Joseph escape his chains and flee to be with his family. If it had not been for her, Joseph Kavillo would have either froze to death or starved in his chains. Not long after Joseph Kavillo had rejoined his family in the Italian controlled area of Yugoslavia the Italians handed over control to the Nazis. Once again the family was trapped by the Nazi army. It's grip upon Bosnia had become absolute. So once again the Kavillo family made their way to the home of the Hardagas where they would again be sheltered by their Muslim friends. The Hardaga family risked everything to save their fellow Bosnians. The Gestapo had a headquarters just a short distance from their home. And yet this Muslim family took in a Jewish family in their greatest hour of need. The danger of being caught was ever palpable. Both families would have faced concentration camps or even death in the streets as the Nazis fought to smash Bosnian resistance. This was friendship at its finest. It was a heroic act that would not soon be forgotten. In the 1990's the city of Sarajevo fell under siege once again. This time the Serbian militias were surrounding the city and laying siege to the Bosnians. The Hardaga family were the targets this time. The Serbs wanted to ethnically cleanse Bosnia of it's Muslim citizens. Genocide was spilling Muslim blood as Bosnia's Jews tried to flee. The UN rarely allowed Bosnian Muslims the chance to run away from the bloodbath their arms bans had helped to engineer. Yet the Hardaga family had friends that wanted to help... friends that owed their lives to the heroism of the Hardagas. In 1994 the Hardaga family was brought to Israel as their homeland was bleeding out. Some 50 plus years had passed since the Kavillo family had been saved by the Hardaga family. But it was an act of true friendship that time could not fade the memory of. In 1926 the Grand Mosque of Paris was built as a token to the thousands of Muslims who had given their lives in "the war to end all wars". It was, and remains, a grand building dedicated to the Islamic faith and the belief in one G-d. Kaddour Benghabrit was one of key figures in helping to establish the massive structure in Paris. And it was Kaddour Benghabrit who was responsible for the mosque when the French Vichy government took power and aligned itself with the Nazis' final solution. When the Nazis began collecting Jews for deportations there was a flaw in their original plan. It was one that had roots in France's colonial past. While there were plenty of French Jews in Paris that could easily be picked out and sent off for deportations, the diversity of France's Jewish citizens emerged. Jewish citizens from France's North African colonies had much more in common with Muslims than they did with European Jews. Their names, their culture, and their community were all linked with how Judaism had adapted itself to North African Islam. Many were closer friends with France's Muslim population than they were with the Jewish communities the Germans were familiar with. And it is in this aspect of France's unique diversity that the Nazis' plan ran into a wonderfully unique problem. France's Muslims were not readily willing to hand over their Jewish neighbors. They had no desire to adopt the sorts of racial ideas and religious extremism that Hitler was preaching. There are many stories of influential Muslims in Paris who risked everything to do what was right. They risked their lives to save a people that Hitler believed they should hate. These Muslims found ways to help their Jewish brothers and sisters evade capture by the genocidal Nazis. One way was to bring their Jewish neighbors to the Grand Mosque of Paris. There was no organized effort involved. This was not an underground railroad of any sorts. It was simply a response in the heart of a community to stand beside their brothers in desperate need of help. 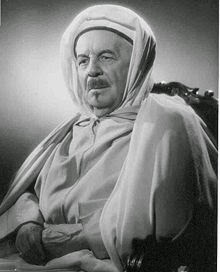 The head imam of the Grand Mosque of Paris was mainly responsible for housing Jewish refugees who turned up at the mosque. Kaddour Benghabrit was said to be responsible for giving these refugees Muslim identification papers so that they might make their way to safety. Kaddour also brazenly showed Nazi generals around the mosque even while Jews hid inside so that the Nazis might be fooled into believing he was cooperating. In 1940 the Vichy government began petitioning the Grand Mosque to stop any actions it might be taking to save Jews from the Nazis. The head imam and Benghabrit remained defiant as they continued to give shelter to Jewish refugees who showed up at the Mosque. Their faith demanded it. Their actions demonstrated that which they believed. The Nazis showed their belief that Islam was a natural ally in the Nazi hatred of Judaism. They had expected the Bosnians in Yugoslavia to side with them in killing off Yugoslavia's Jews. In France they had expected the Grand Mosque to be the home of Islamic hatred for European Judaism. Yet the Muslims who operated the mosque showed that Islam was and is not opposed to Judaism. Their actions may have saved only a few dozen or potentially hundreds of Jews from the Nazi death camps. But as time goes on, as long as their story is told, their actions will show that Muslims and Jews are brothers in our unique faiths. Their actions should forever show that Judaism and Islam can and should live side by side in peace. Muslims have a faith that teaches tolerance and an understanding of others. While some may abuse the faith, there have always been Muslims who have stepped out of the mold society has shaped for them... there have always been Muslims who have risked their own lives to save those of others. Beyond the news articles and daily broadcasts of stories like those of ISIS and other extremists... beyond the stereotypes... there will forever be Muslims who show the love of their Prophet's teachings. These are the sorts of Muslims the world should never forget. These are the sorts of brave men and women that the world needs to talk about with a sense of pride and respect. We will all forever remember the names of villains like Osama bin-Laden. Yet we should also remember the names of heroes like Mustafa and Zejneba Hardaga. These brave and honorable souls should be inscribed not just on monuments but also imprinted upon our collective memory. May G-d bless those who sacrificed so that others might live.